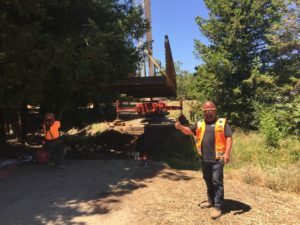 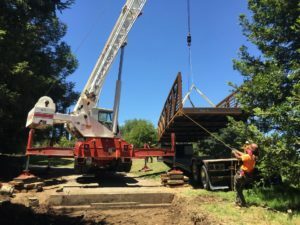 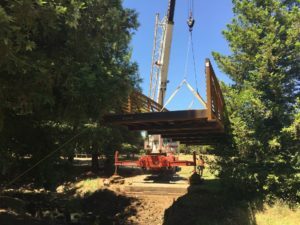 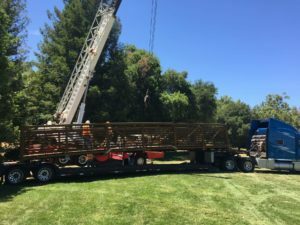 The project involved the removal of the existing steel pedestrian bridge and the installation of a new steel pedestrian bridge for the City of Concord in Newhall Park. 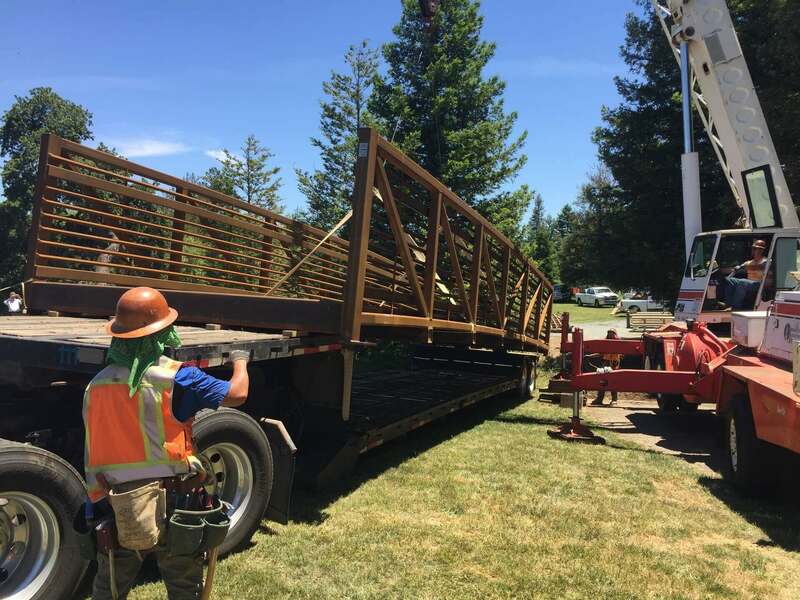 The wood planking on the existing bridge was rotting and the steel was rusting away making the project a necessary improvement for the City of Concord. 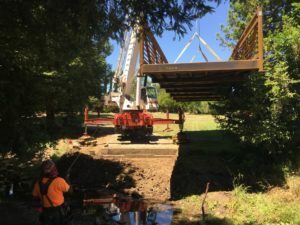 Contech Engineered Solutions provided the prefabricated bridge and we modified the abutments, and installed the bridge at its permanent location. The goal was to complete the removal and installation in one day. The work required extensive planning to ensure that the crew was prepared to complete the work in one day once the bridge arrived. 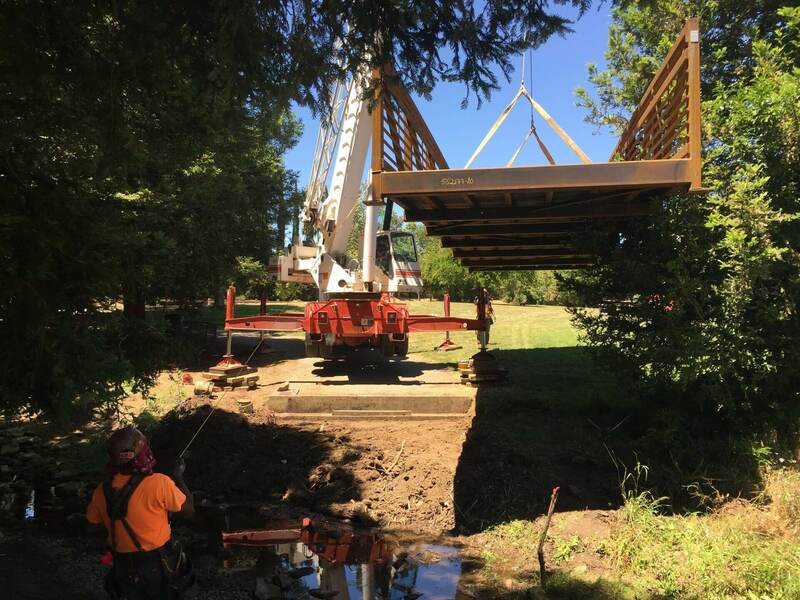 The crew worked quickly and efficiently to meet of goal of completing the project in 1 day.